A post by Peter Jordens. 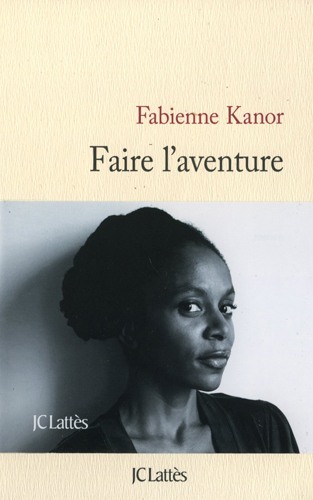 The novel Faire l’aventure by storywriter, journalist and filmmaker Fabienne Kanor was the Jury’s choice at the 25th edition of the Prix Carbet de la Caraïbe et du Tout-Monde, which this year took place at the Casa de las Americas in Cuba. The jury, which was chaired by Ernest Pépin (Guadeloupe) and included Nancy Morejon (Cuba), Rodolphe Alexandre (French Guiana), Miguel Duplan (Martinique, Guyana), Lise Gauvin (Québec), Romuald Fonkoua (Cameroon), Evelyne Trouillot (Haiti), Michael Dash (Trinidad), Patrick Chamoiseau (Martinique) and Samia Kassab-Charfi (Tunisia), also recognized as Special Mentions: Louis Sala-Molins (France) for Esclavage réparation – Les lumières des capucins et les lueurs des pharisiens (Éditions Lignes) and Yannick Lahens (Haiti) for Bain de lune (Sabine Wespieser). Kanor (France, 1970), born of French Antillean parents, has written a novel that combines alterity, emigration, exile, Africa and Europe, the Antilles … through the journey of two migrants. According to critics, the book “addresses individual identity by way of an intimate and human adventure.” These themes are common too in her work as a filmmaker. Kanor’s works include D’Eaux douce (2004), Humus (2006), Les chiens ne font pas des chats (2008) and Anticorps (2010). Faire l’aventure was published by 2014 by Éditions J.C. Lattès. For the original article (in Spanish) go to http://laventana.casa.cult.cu/modules.php?name=News&file=article&sid=8445. Also see http://www.prensa-latina.cu/index.php?option=com_content&task=view&id=3380301.